Immunogen: Synthetic peptide corresponding to the sequence of human gastric inhibitory. Application Notes: Detects a band of ~5kDa by Western blot. Scientific Background: Human gastric inhibitory polypeptide (GIP) is a 42-amino-acid peptide belonging to the glucagon-secretin family of peptide hormones. It is secreted by endocrine cells in the duodenal mucosa and stimulates glucose-dependent insulin secretion as well as GLP-1 release from more distal endocrine (L) cells in the intestinal mucosa. GIP shows amino-acid sequence similarities to glucagon, GLP-1 and GLP-2 (from approximately 50% identity for glucagon to 30% identity for GLP-2). 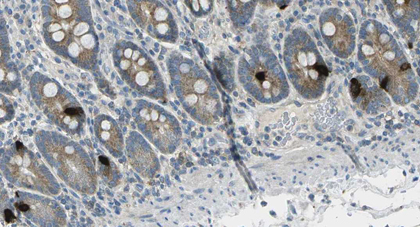 Figure 2: Immunohistochemical analysis of duodenum tissue using Gastric Inhibitory Polypeptide (human), mAb. 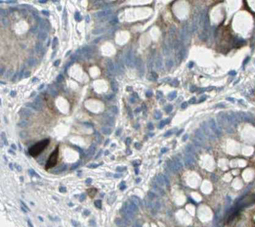 Figure 1: Immunohistochemical analysis of small intestine tissue using Gastric Inhibitory Polypeptide (human), mAb.